Knowing our past helps us strengthen our roots and chart our future. For Black History Month, EBYR is proud to highlight books that bring to life the past — with its trials and triumphs — through African-American voices and characters. Read on to discover Five Great Books for Black History Month, or click to browse the complete collection on our website. 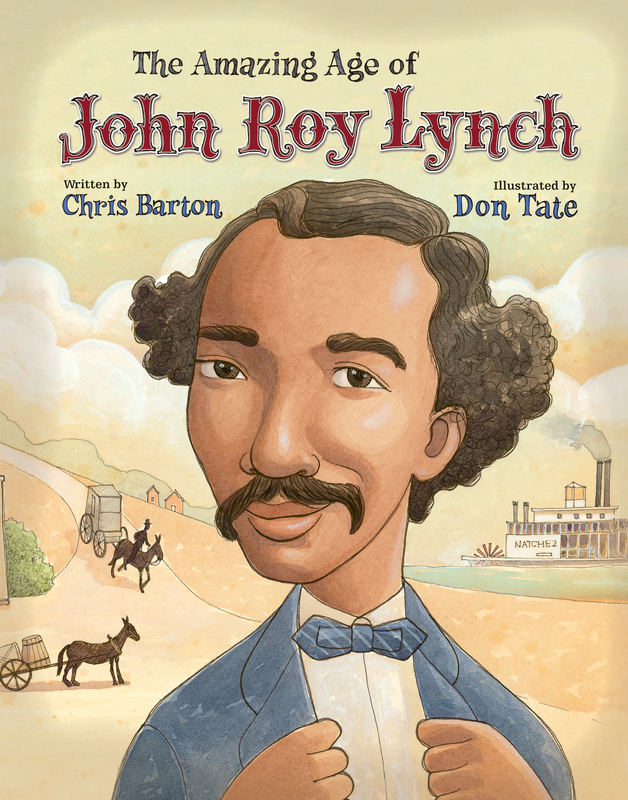 Click to read a guest post by Chris Barton, the author of The Amazing Age of John Roy Lynch. 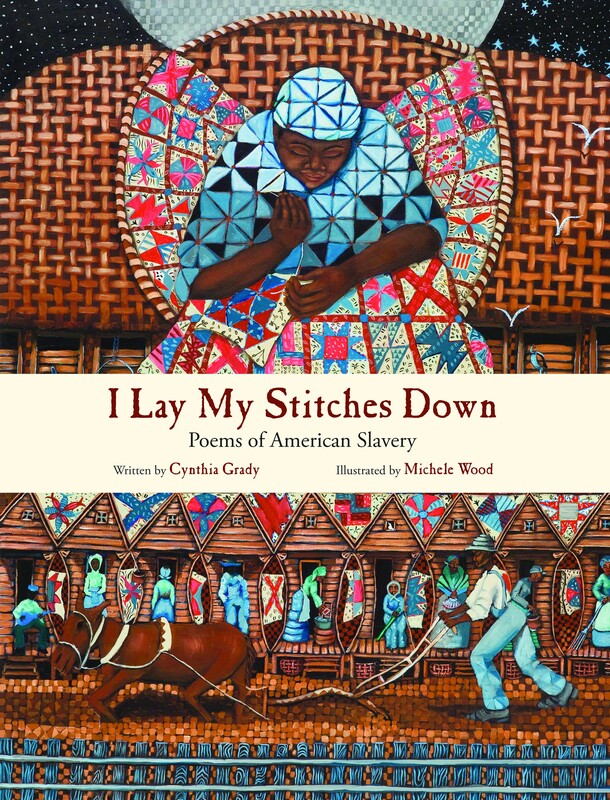 This moving and eloquent set of poems, brought to life by vivid and colorful artwork from Michele Wood, offers a timeless witness to the hardship endured by America’s slaves. Each poem is supplemented by a historical note. Click to read a guest Post, “Stitching Poetry,” by author Cynthia Grady. Ben, a young slave, uses every chance he gets to teach himself to read, practicing with the words he sees on street signs and in shop windows and even in cast-off newspapers he finds in the gutter. But after the Civil War breaks out, his master leaves town and Ben finds himself in a slave prison. One night, the prisoners bribe a guard to get their hands on a newspaper, and to the applause of his fellow slaves, Ben reads aloud the momentous news of Mr. Lincoln’s Emancipation Proclamation — surely one of the most remarkable readings of that document ever. 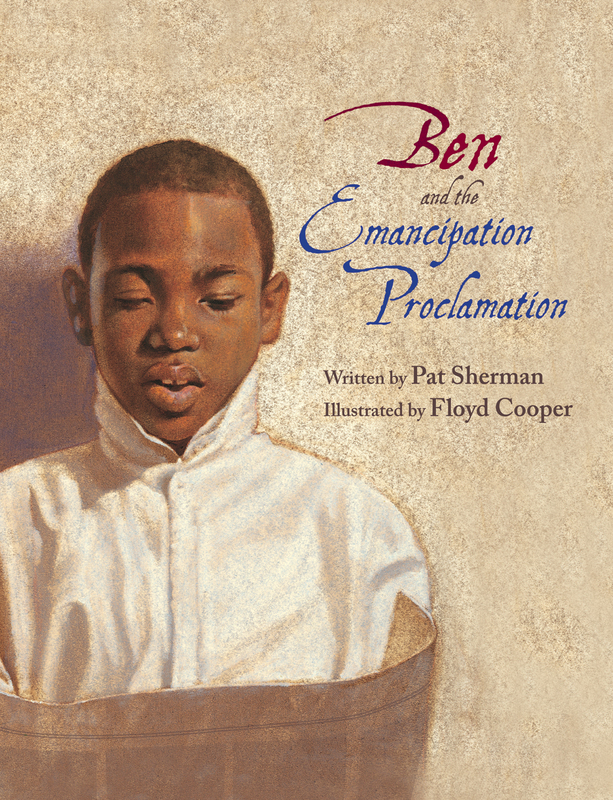 Based on the true story of Benjamin Holmes, Pat Sherman’s stirring text and the memorable illustrations of Coretta Scott King medalist Floyd Cooper pay tribute to the power of freedom — and to the power of the written word. Since the earliest days of slavery, African Americans have called on their religious faith in the struggle against oppression. 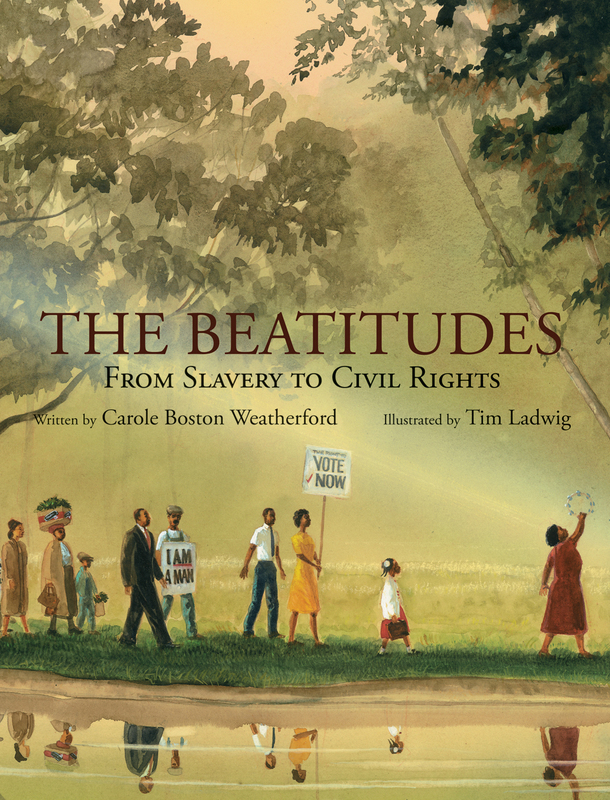 In this book the Beatitudes — from Jesus’ famous Sermon on the Mount — form the backdrop for Carole Boston Weatherford’s powerful free-verse poem that traces the African American journey from slavery to civil rights. Tim Ladwig’s stirring illustrations showcase a panorama of heroes in this struggle, from the slaves shackled in the hold of a ship to the first African American president taking his oath of office on the steps of the United States Capitol. Piece by piece, James William’s comfortable life begins to unravel. First, he learns that the burning of a black man’s house was not accidental. Then his fishing buddy LeRoy tells him about the hanging tree and the Klan. Though he accepts that blacks and whites can’t eat at the same tables or drink from the same fountains because “that’s the way it is,” James William can’t believe that racial hatred exists in his own community until he comes face to face with a Klan member. A thought-provoking story of one boy’s loss of naïvete in the face of harsh historical realities,Mississippi Morning will challenge young readers to question their own assumptions and confront personal decisions. Click to browse the rest of our featured collection of Black History books from EBYR.